PRETORIA - When the Mercedes-Benz Sprinter made its debut in 1995, it was the first van to be fitted as standard with disc brakes on both front and rear wheels, as well as with the ABS anti-lock braking system. Fast forward to 2016 and the van synonymous with an entire segment has done it again with yet another industry-first. Now standard with every newly purchased Mercedes-Benz Sprinter, the CharterWay® Service BestBasic 5-year/105 000 km service plan assists operators to concentrate on their business' core requirements, by offering guaranteed vehicle availability and reduced administration. The CharterWay® BestBasic 5 year/105 000 km service plan is an industry-first from Mercedes-Benz. Not having to pay for a service gives operators complete peace of mind when buying a Mercedes-Benz Sprinter, and allows them to concentrate fully on their bread-and-butter business. "The Mercedes-Benz Sprinter is a market leader in its segment due to its high levels of safety, impressively economical engines and unsurpassed innovations. With the CharterWay® Service BestBasic 5 year/105 000 km service plan, we are ensuring it remains in the lead," says Nicolette Lambrechts, Head of Mercedes-Benz Vans, Southern Africa. As an all-inclusive service plan package, the CharterWay® Service BestBasic plan covers all items prescribed by the Mercedes-Benz service schedule for the stipulated mileage and/or period of the contract. 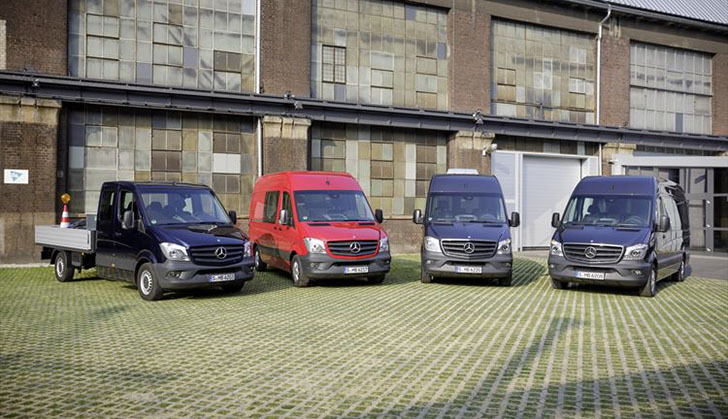 For more information on the CharterWay® Service BestBasic 5 year/105 000 km service plan for the Mercedes-Benz Sprinter, please contact your nearest Mercedes-Benz dealer.